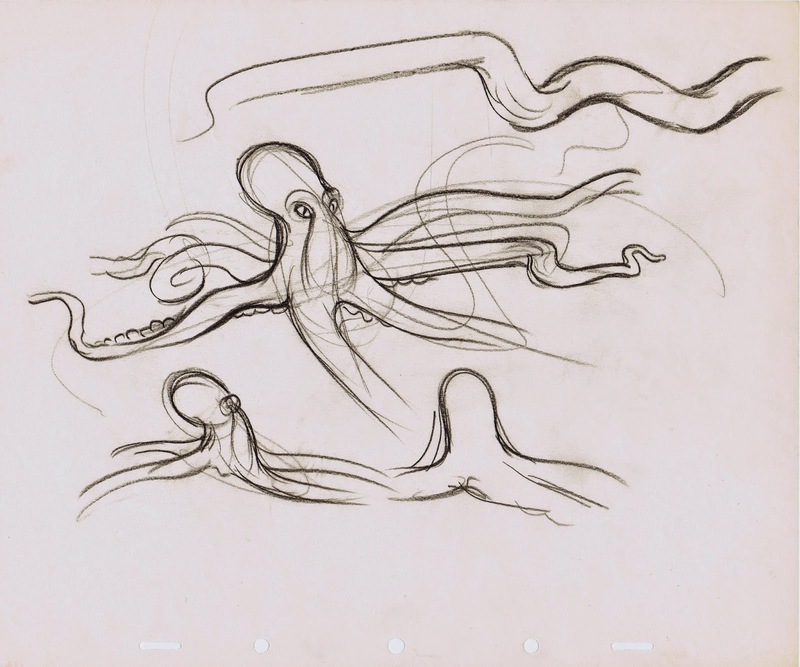 I really didn’t think I would ever do another post on this unusual Disney feature from 1943, but I want to share these terrific design sketches by Marc Davis for the film. 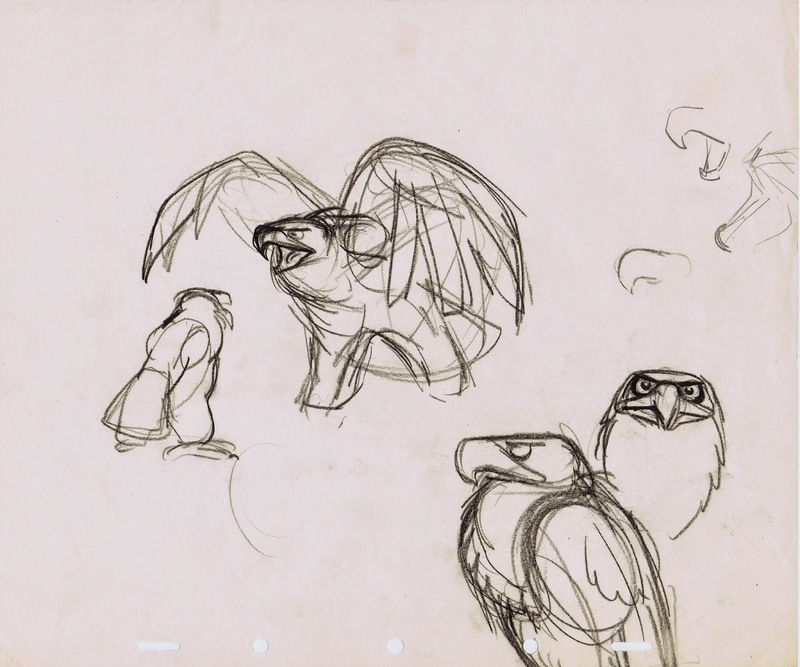 Marc is researching animatable versions of the eagle and the octopus, who face off during the film’s climax. 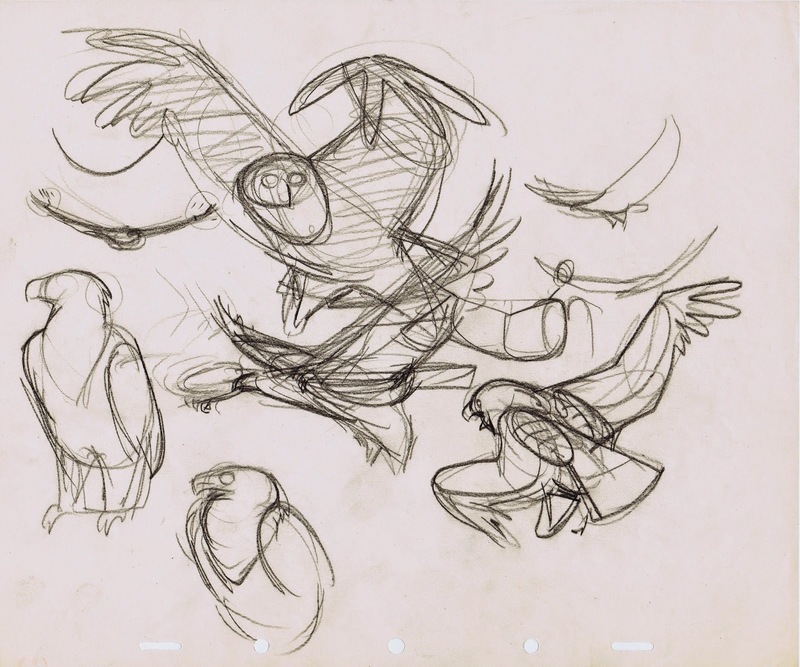 It is a short but dramatic sequence, animated by Bill Tytla. I remember Marc talking about drawing snakes. 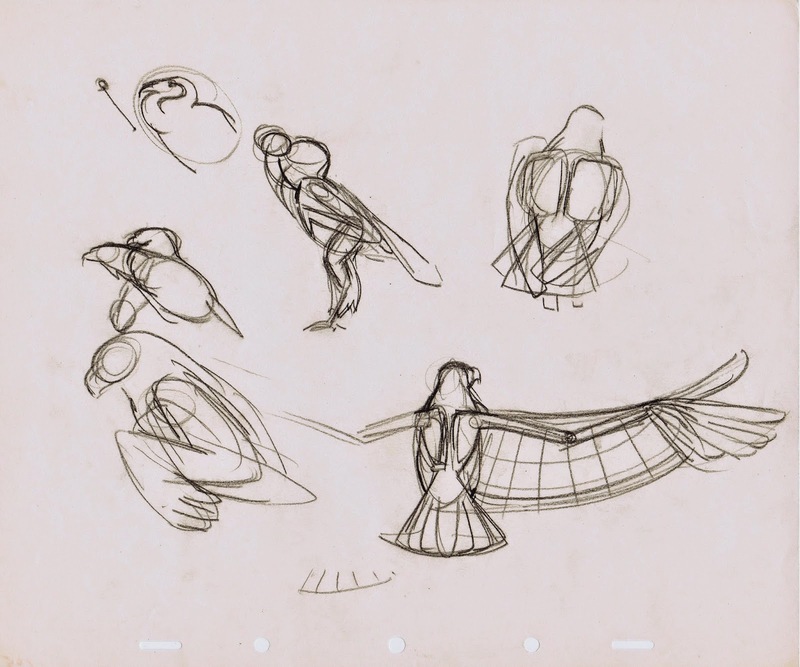 He mentioned that many artists draw them by using curved lines only, which results in weak looking images. 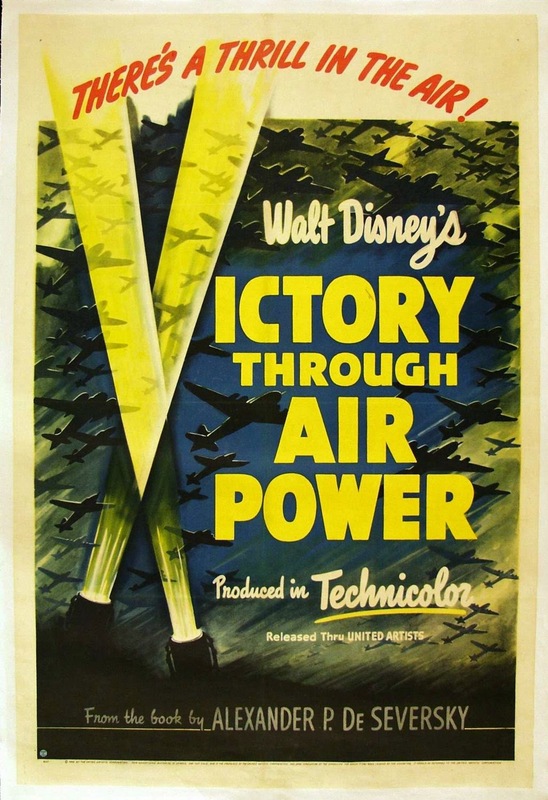 “There are plenty opportunities to add straight lines to show strength and power”. 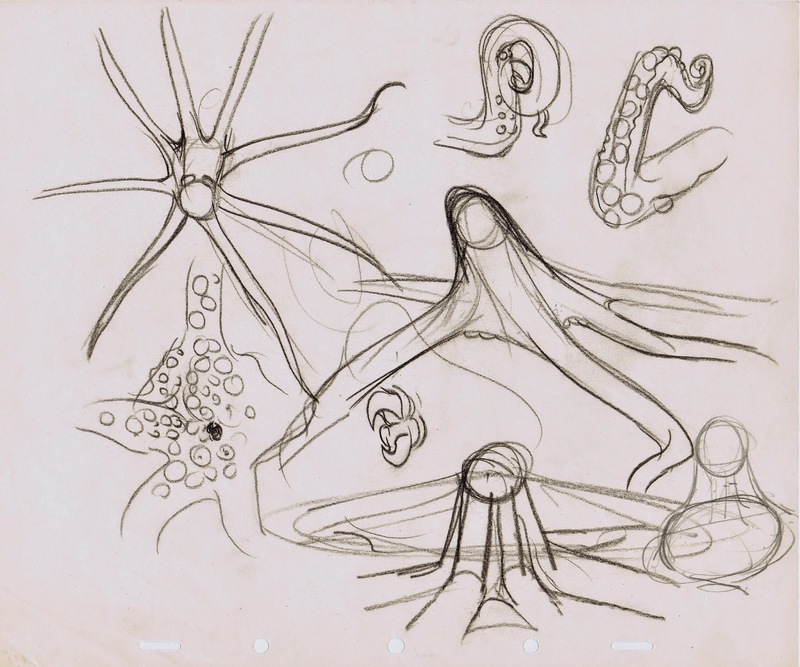 The same can be said about these octopus studies. Whenever a tentacle stretches, it shows tension and stress. Magnificent drawings. 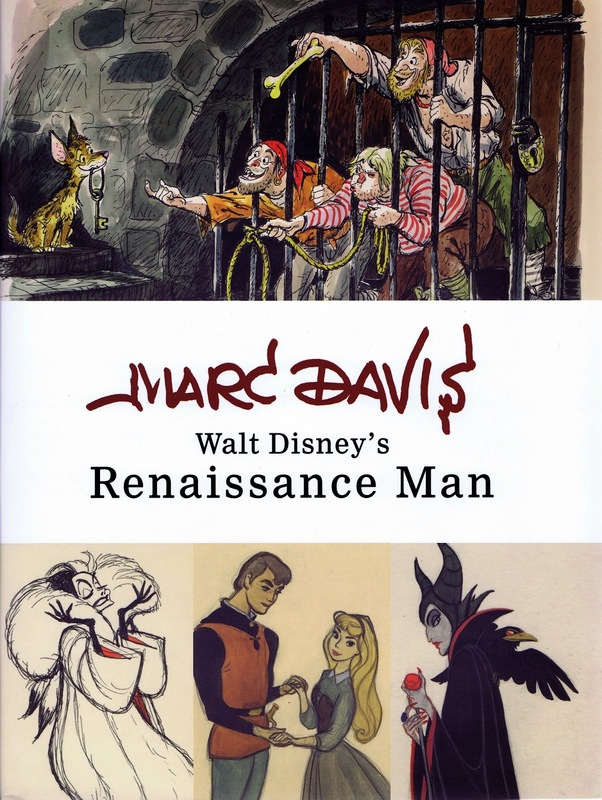 It’s time to -highly- recommend this new book on the art of Marc Davis. 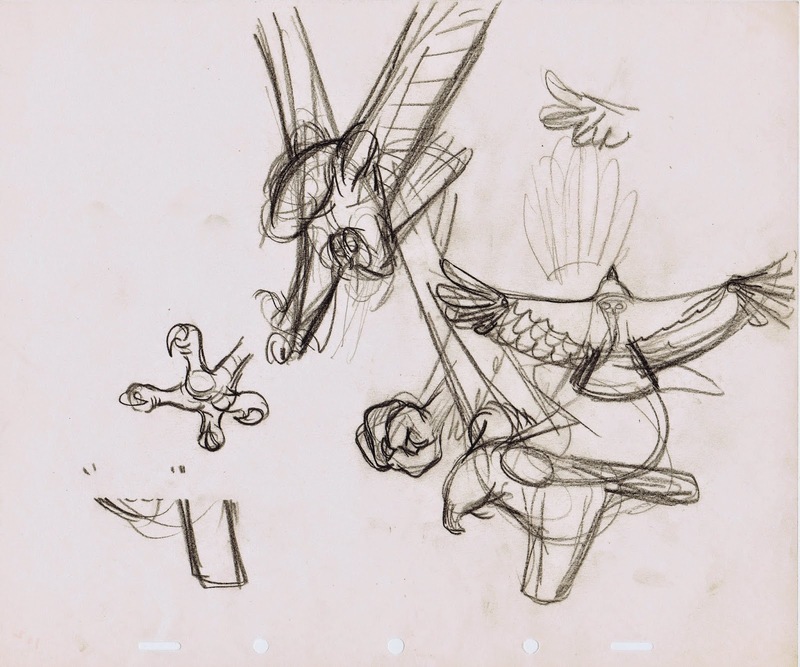 It gives you great insight into the creative mind of this multi-talented artist, whose career covered character animation, theme park attractions and fine art. Various chapters also describe Marc as a teacher, traveller and husband. I was honored to write about his animal studies at the zoo.